2019 could be a great year for everyone, especially for startups. But with the rising increase in the competition, it can be difficult for a company to survive. Having a great idea and business model does not guarantee business success. There should always be a plan for effective marketing. So many startups are doing a great job engaging their target market. In order to attract their attention, you have to connect to your target audience. You have to engage them and make them part of your marketing campaign (not just viewers or listeners). Online marketing is all about building relationships with the people, particularly those who are in need of your services. There are many ways to drive engagement. One of the best ways is to create contents that do not only inform, but also inspire. Give your audience something new and exciting. All these promote user experience. Marketing doesn’t always have to be expensive. After all, there are personal loans online for marketing costs that startups can use to fund their campaigns. But for a campaign to be successful, it always requires creativity. It can be difficult to convey your brand’s message in a way that people will appreciate or remember. That’s why creativity matters. Make sure that your content brings value. Whether you’re putting up a blog or a YouTube channel, it should be something that people will find helpful. Never skip this. Millions of people are on various social media platforms every single day. What could be an easier and more effective way to reach them than to launch a marketing campaign on social media? Facebook, Twitter, Instagram, and other social media platforms are great places to engage your audience, update people about what your company is up to, and promote your business. If you think SEO is something you do only at the beginning, think again. 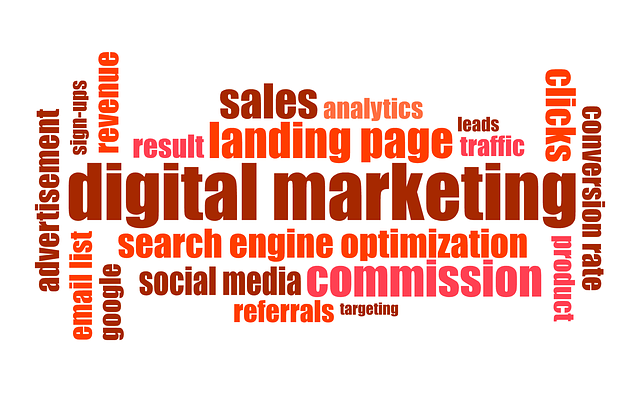 More websites are created and more companies invest in digital marketing. Not to mention the changes in Google’s algorithms. One day you see your site on the front page of Google and the next day it’s no longer there. Optimizing your website might seem like a lot of work but it’s definitely the only way to increase your online visibility. And no matter how great your content is, if it’s not optimized, you’re hardly able to reach a wider audience. Most people access the internet through their mobile device. So make sure that your content marketing looks good on their phones too, not just on their computers. Your campaigns should not only look great but also accessible from mobile device users. More importantly, they should be specific and relevant. Any marketing campaign should be directed to a specific target audience. And this is where many startups tend to fail simply because they don’t have full awareness of who their target audience is. Before creating any content, make sure that you specifically know who your target market is. It’s the only way to stay relevant and produce marketing campaigns that provide. A marketing campaign is useless without any call to action. Whatever it is that you wish to get from your target audience – a Page Like, newsletter signup, their email, etc. – you have to be clear about it. That makes a strong call-to-action. Videos are a great way to inform people about what you do, what you offer, and other similar things. Video marketing is the next big thing and every startup should capitalize on this approach in order to raise brand awareness, set a trend, and capture people’s attention. In addition to video clips and tutorials, consider hosting webinars and live events to take your marketing campaign to the next level. While vlogging is the new game, blogging is equally important too, especially for startups. Blogging is a great way to optimize your website, increase your keyword reach, and drive traffic to your website. Creating relevant and valuable contents through a blog post is also a great way to gain the trust of your target audience. Email marketing is still part of the game. Emails are a great way to reach out to your target audience because it’s free, convenient, and can be accessed using any device (mobile or not). Almost everyone has an email account which makes engaging customers easier.